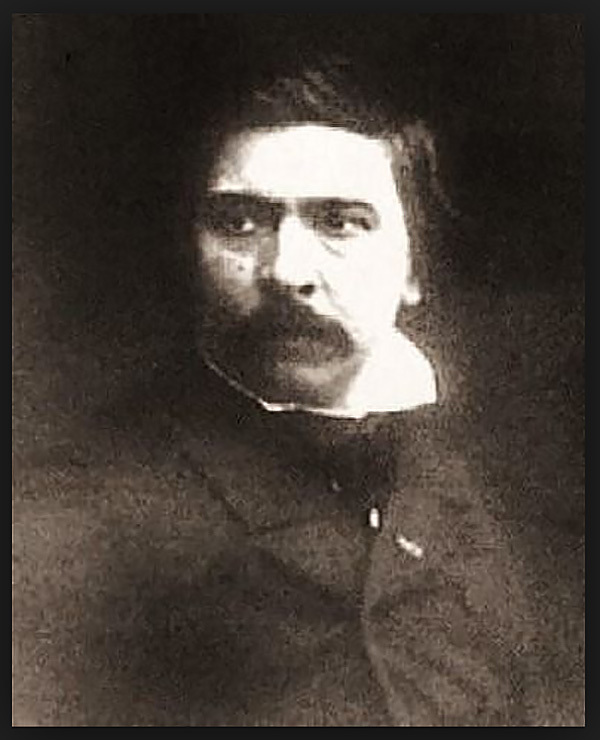 Shortly before his death in 1879, French painter Thomas Couture was approached by a publisher and asked to write his autobiography. Couture was beyond the reach of flattery and ego, and had been for many years. He had fosterred a strong sense of integrity in his life, and had bucked even the influence of the arts establishment of his day. While still a student at the Ecole des Beaux-Arts, Couture saw the judges’ failure to recognize his talent as more a comment on them than on his own work. He went on to a long career refining “history painting,” and inspired a long list of protégés that included fellow art-world luminary Edouard Manet. In 1847 Couture finished “Romans During the Decadence,” which some critics proclaimed his masterpiece. But I fell in love with his 1857 painting “Pierrot the Politician” when I first saw it in person at the Chrysler Museum of Art in Norfolk, Virginia. 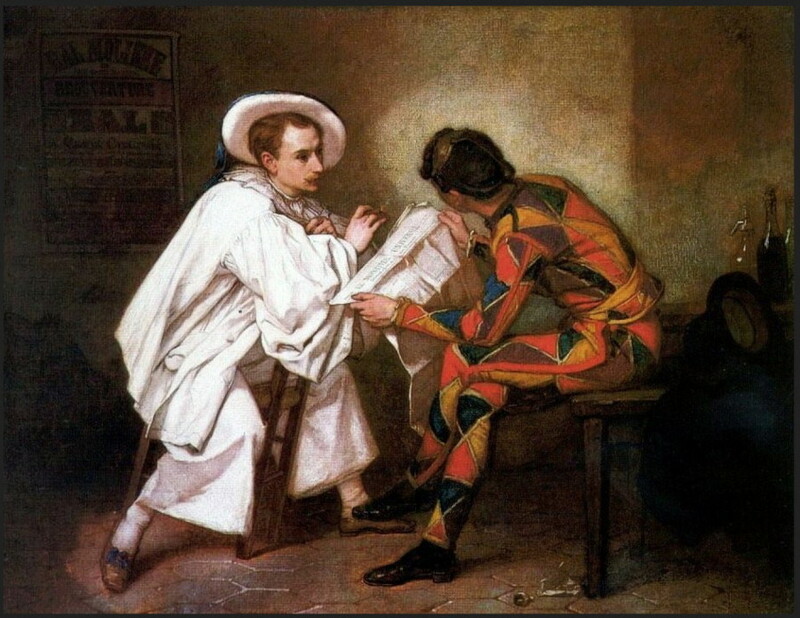 Couture’s sympathies were clearly on the side of all artists, and here he has two actors dressed in the conventional Commedia del-Arte roles of Pierrot and Harlequin forgetting their higher allegiance to art in order to pore over a current newspaper. Couture was taking a gentle swipe at the pair’s obsessions with business and politics. Not surprisingly, Couture had lifelong conflicts with the artistic patronage of both church and state. When his most ambitious mural met with an unfavorable reception he said goodbye to Paris for good, although his grave can be found in Pere Lachaise Cemetery along with Balzac, Chopin and Moliere.